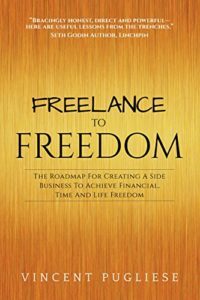 Share the post "Freelance to Freedom"
Freelance to Freedom is one of the books I didn’t edit. Vincent Pugliese has been a member of the 48 Days Eagles for some time. When I heard that he was publishing a book, I offered to edit it. I didn’t know him yet, but by virtue of his Eagles membership, I wanted to serve him. He said he already had someone for this book. But I could read it before it came out. The good news about that is I was able to review it on Amazon. That’s not the case with any book I edit or am otherwise connected with. For more information on that, see this post: editors cannot review books they edit. 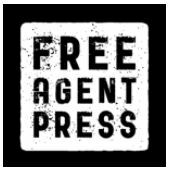 I read Freelance to Freedom before it was published. I then became friends with Vincent, in large part because his personality came through in his book. Authors’ words reveal so much about them. I read it after it was published. Recently, after a Facebook chat with Vincent, I started to read it aloud to my husband and children. This morning, I read them the portion that tells the story of how his wife ended up going to work for him one morning during the time before it was all freelance and all freedom. I won’t give it away (you’ll want to read it for yourself), but it had to do with a child’s toy and Vincent’s (temporarily) embarrassing appearance. Everyone was laughing as I read it. 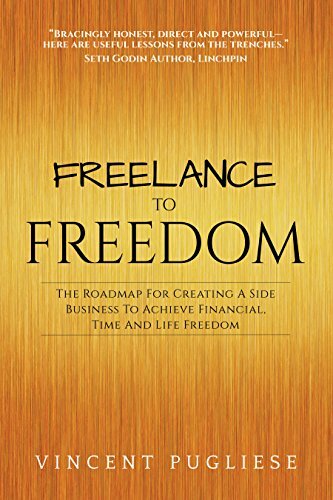 You should read Freelance to Freedom Full Disclosure: If you click this link and make a purchase, we earn a small commission at no cost to you. , too. This afternoon, my daughter said she loves this book and wants me to read more each day, because “It’s really good, not boring like the other books you’ve read to us.” I find business books and self-development books to be interesting, and how can anyone call a Tony Robbins book “boring”? But okay. I’m just glad she likes this one. It has so much that a person needs, and it presents it in such a fun and poignant way.